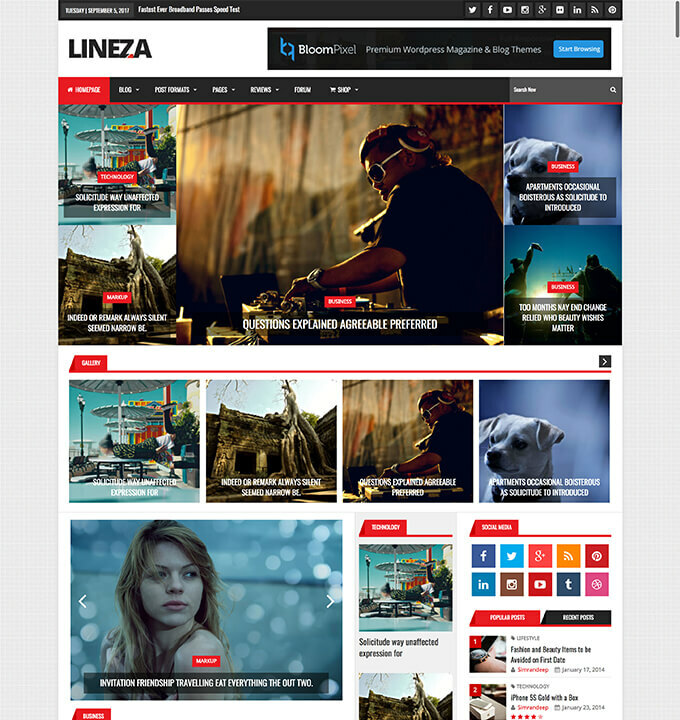 Lineza is a modern WordPress theme designed for Magazine, News and Blog type websites. It is really easy to setup and use with powerful theme options panel and widget ready homepage. Lineza features, in-built reviews, rich snipppets support, all Google fonts, unlimited colors, advertisement widgets, 6 featured post styles and many more features.